Looking for a luxurious home in a great location plus a simple convenient booking process? As our guest we will take care of you personally from the time you inquire to your day of departure. We are not a booking agent, we personally maintain this home to guarantee your satisfaction. We guarantee to have your booking processed within 24 hours. As soon as we receive your deposit we will immediately confirm your reservation. 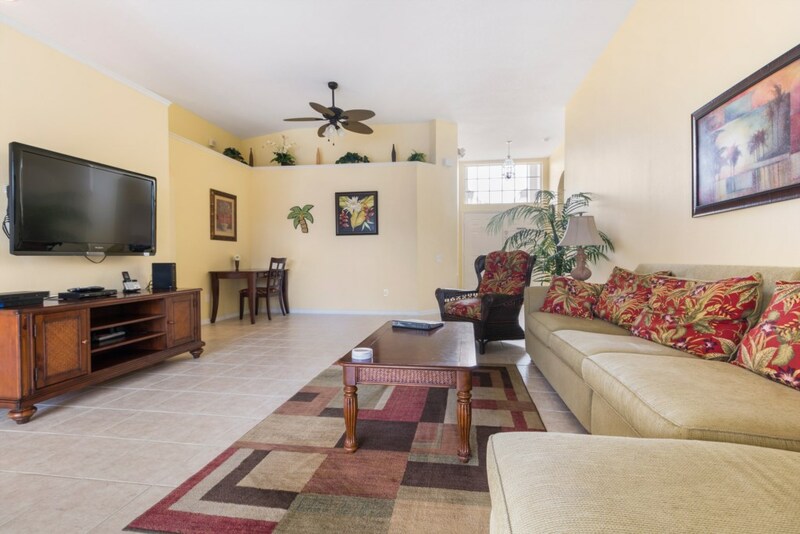 This spacious, well equipped home benefits from a south facing pool, attached spa, internet access and more. 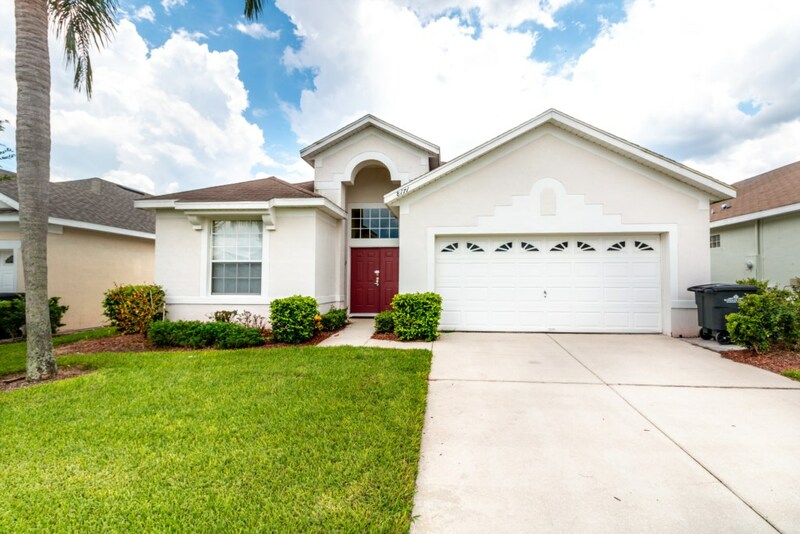 Being located less than 10 minutes from Disney and close to shops and restaurants this is the perfect base for your trip to the Sunshine State. 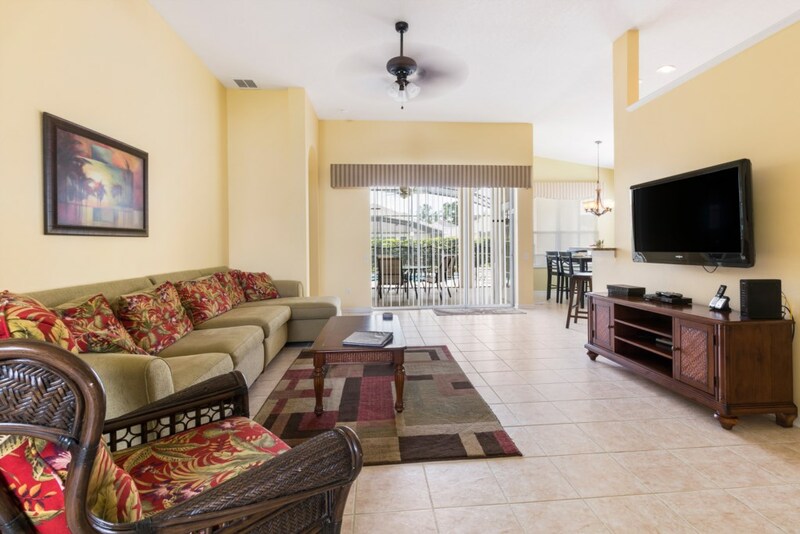 Whether you`re in Florida for the attractions or simply to relax you've found the perfect location. 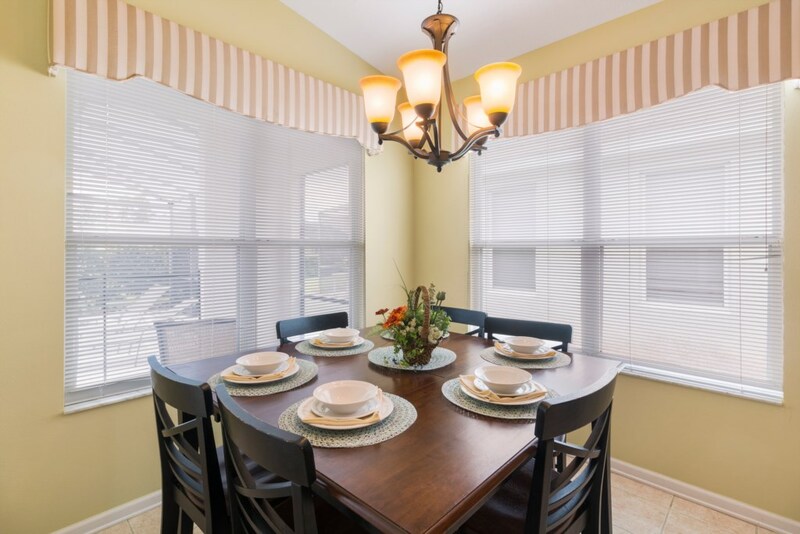 The home is furnished to a high standard with your every comfort in mind. The villa is professionally maintained throughout and you have access to 24/7 hour assistance from us as your local Management Company. 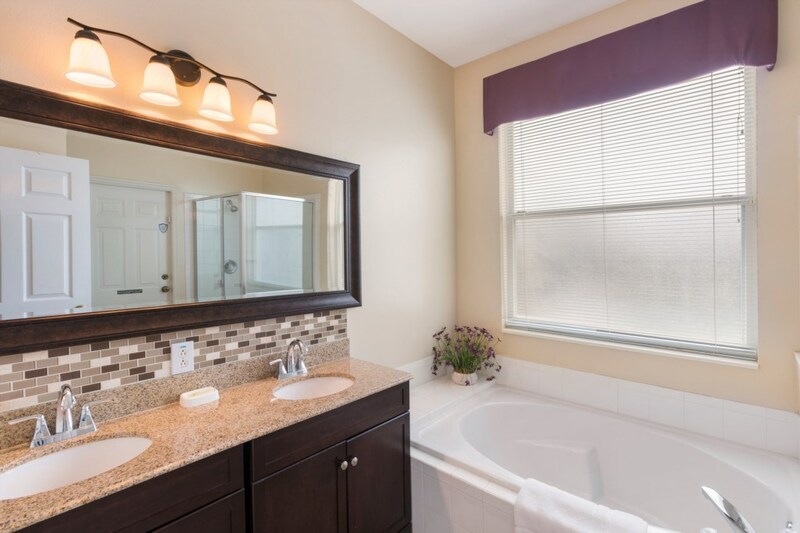 This is the perfect place to return to at the end of a long day with all the comforts of home. You can relax around the pool with a glass of wine and plan your next adventure. There’s so much to see and do in the area that you will need an occasional day to simply chill out in the home while the children have fun in the private heated swimming pool. All bedding and linen are provided. 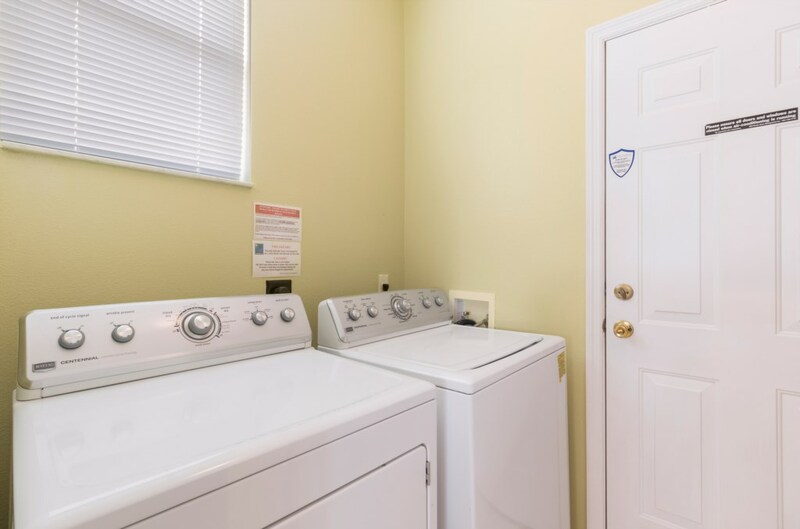 Each home has laundry facilities with washer and dryer. 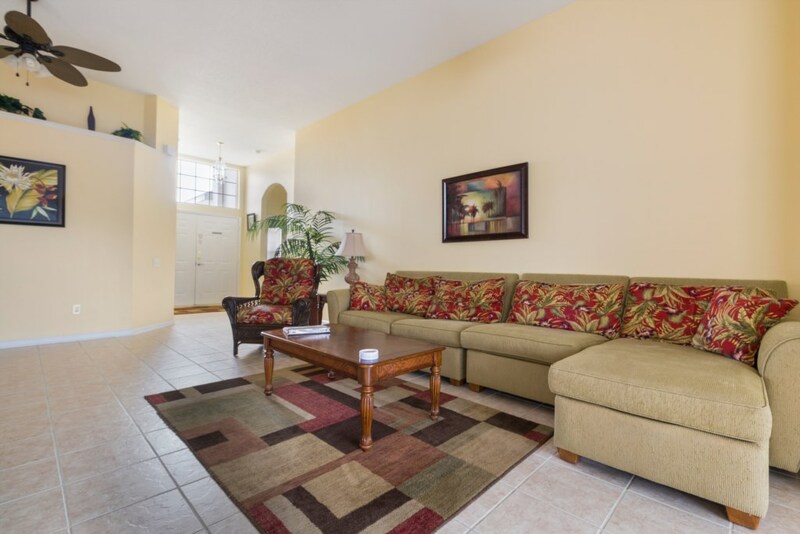 The house was very clean upon arrival, the pool and spa were ready and warmed for our use. Communications with the management team was seamless. 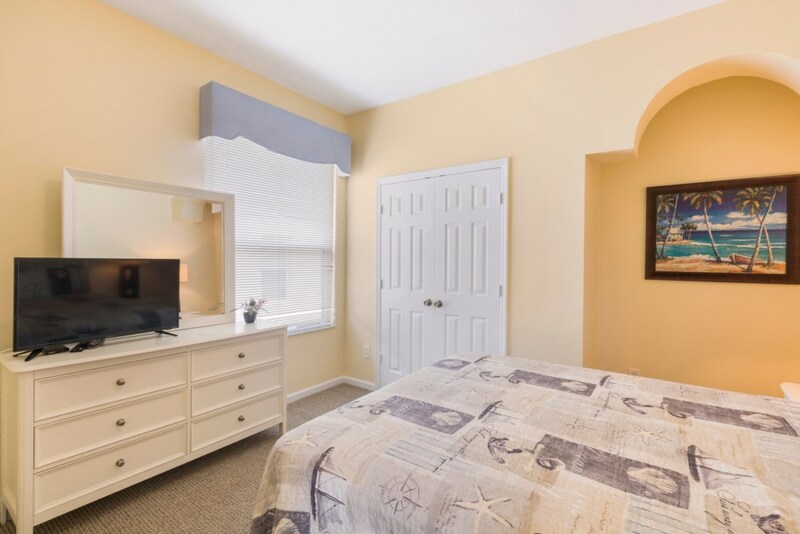 Three adults shared the house but one of the bedrooms had 2 twin beds. Fortunately I didn’t draw the short straw. We knew of the bedroom with the twin beds before hand. Next time we will avoid the room with twin beds unless we bring kids. The house is perfect for a family with kids. 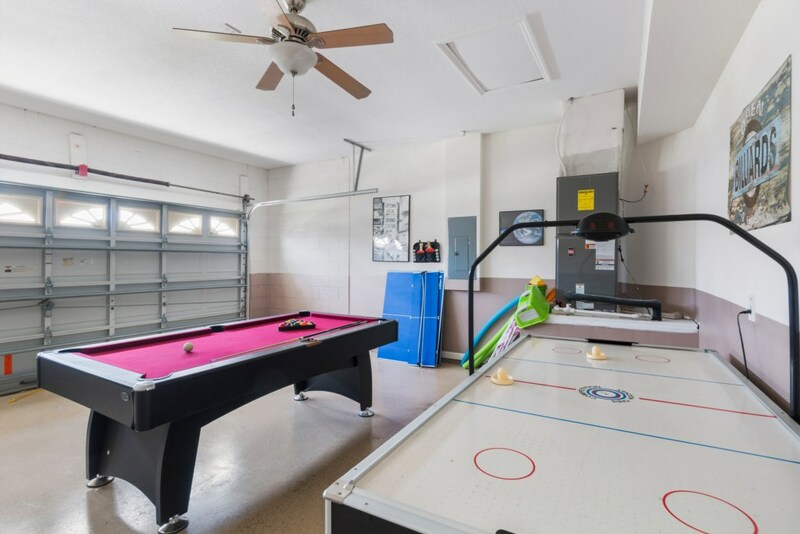 It has a Play Station console, pool table and air hockey. The club house is within a short walk. The club house has games for the kids, a small store, small bar with a place to order food. I would definitely book through them again as they have a choice of many different properties. This villa was absolutely perfect for our family of 2 adults and 2 children. We enjoyed staying here. It was perfectly clean and has all amentities. So close to all the parks, also security on the gate were spot on and made us feel very secure in our home. We didn't encounter any problems at all and we found everything we needed in the villa. The pool and spa was lovely the heating worked great and we liked that there was a bush around the outiside of the pool which gave us privacy. Can't fault the home in anyway we were so happy with it and we would be happy to stay there again. 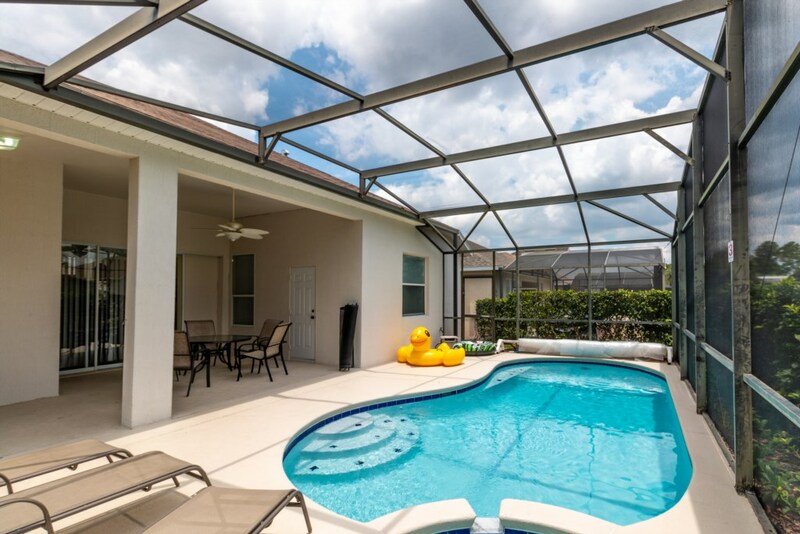 If you are looking for a clean family friendly Holliday home then this is the one for you. It made our holiday it was great! 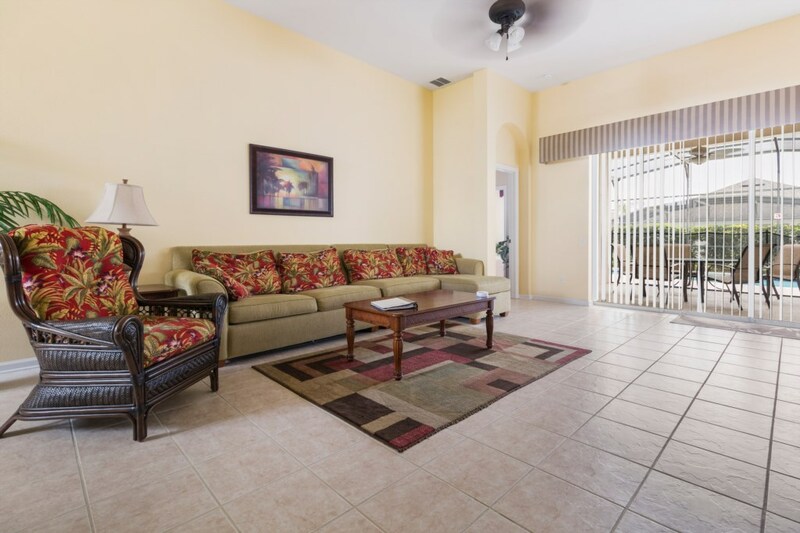 Aruba Palms is a clean, well situated villa and we found it to be of a high standard. There were four of us: two adults and two children, but there is room enough for another two adults. 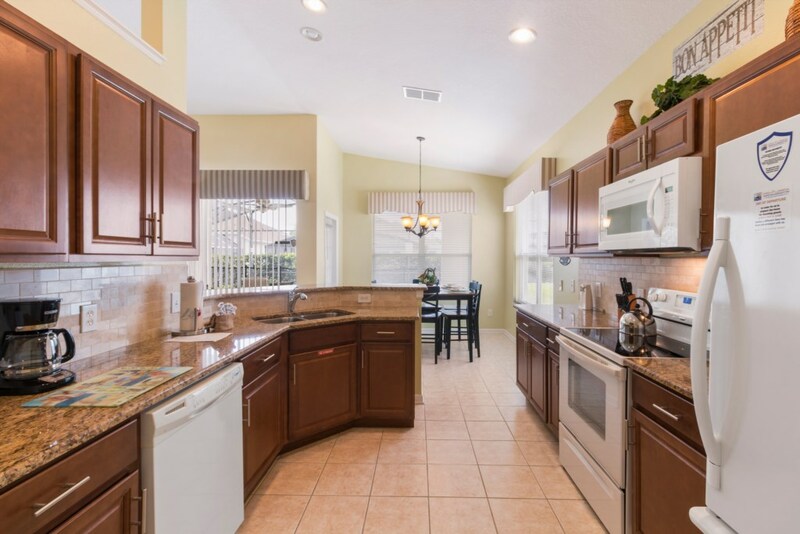 It’s a single-storey home, with a spacious, open-plan living, dining, and kitchen area. 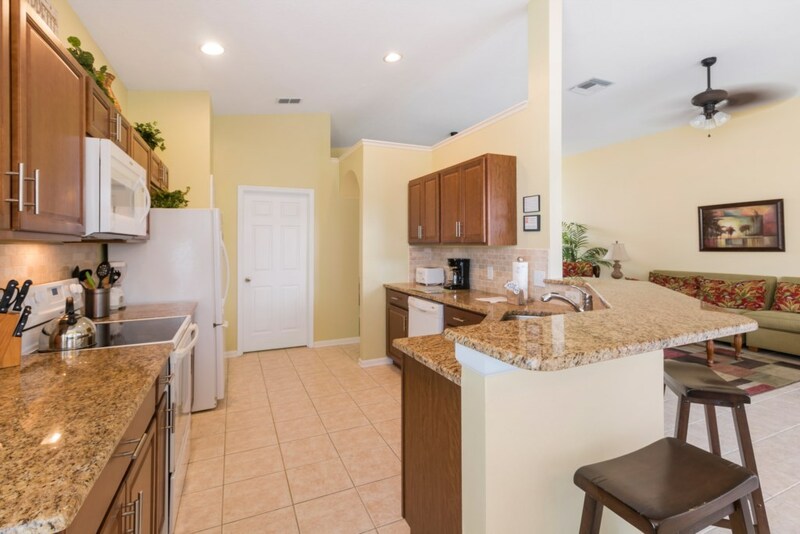 It has everything you could need for everyday living, with plenty of cups, plates, and cutlery, a dishwasher, washing machine, tumble dyer, and coffee machine with a timer that we set practically every day! 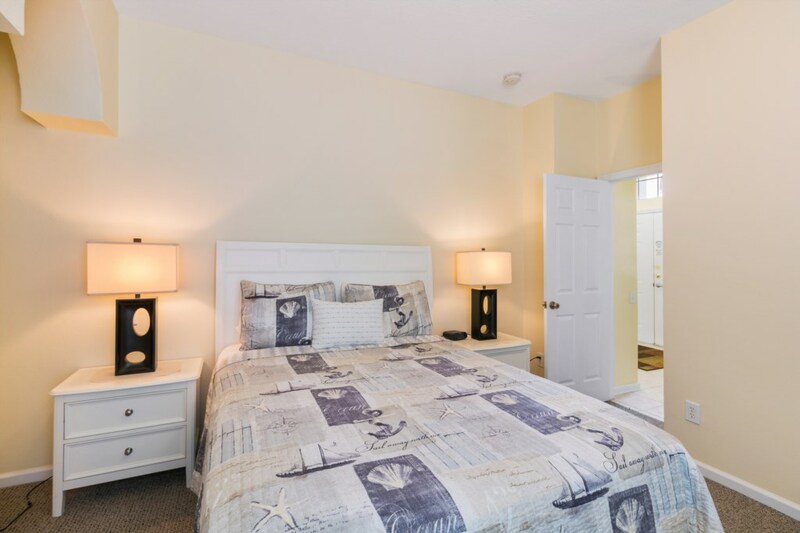 The bedrooms are a generous size – the Master is huge with a jacuzzi bath, twin sinks, and a walk-in shower. There is a safe in the walk-in wardrobe. 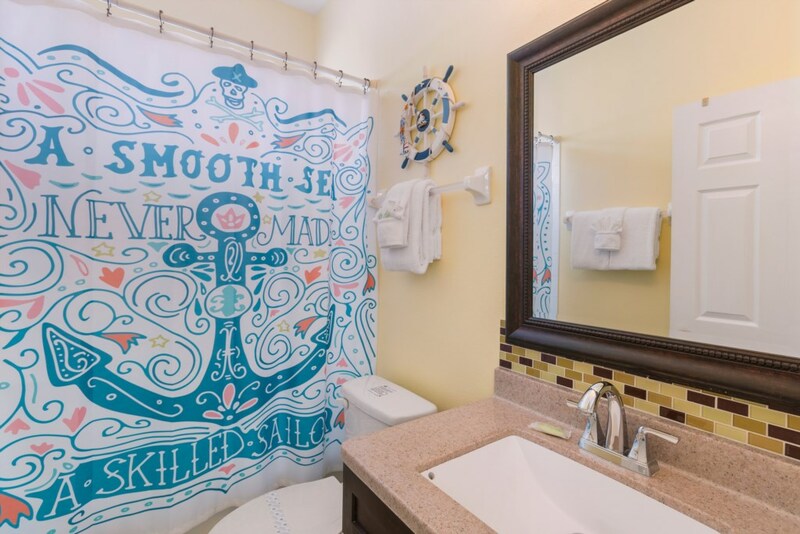 The other double and twin rooms share a bathroom with a shower over the bath. 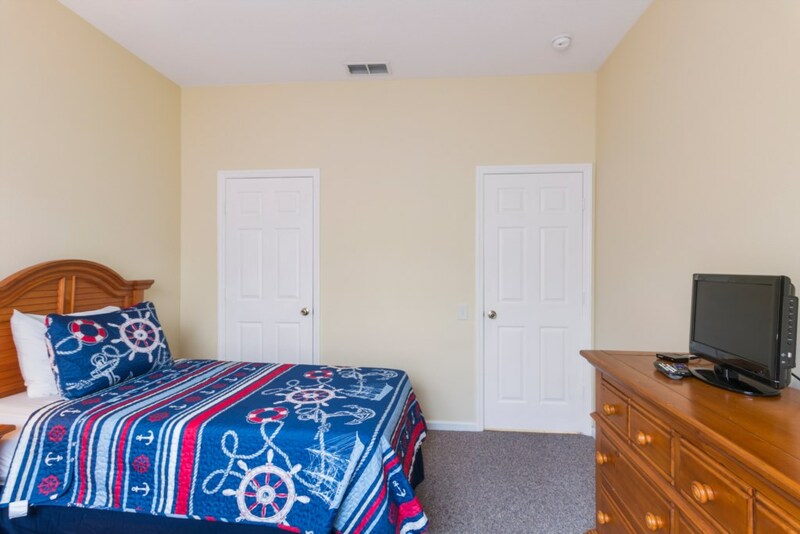 Storage is vast in all rooms and there are extra towels and bed sheets. 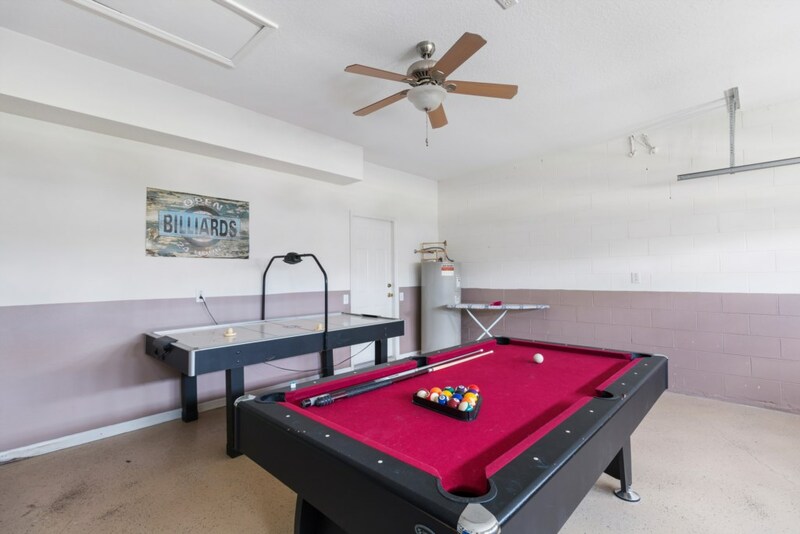 The games room is in the double garage and has a pool table and hockey table. Three parts fit together to form a table tennis court which rests on the pool table. 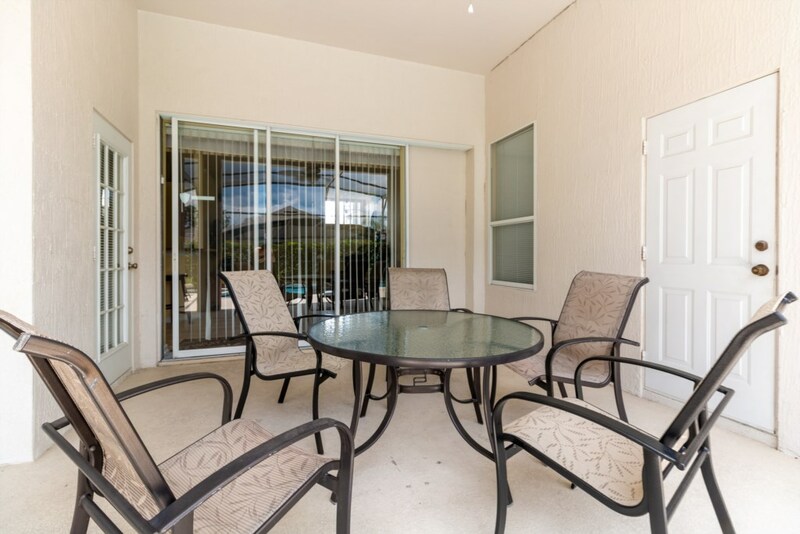 Outside, there is a decent sized shaded seating area with furniture and a good sized pool and hot-tub. The heater runs on a timer, as does the pool lamp, and it reached a nice warm temperature fairly quickly. The water temperature (in April) of the main pool was very pleasant. The pool is surrounded by a solid cage – as they all are – and there are short bushes around the outside of this that provides some privacy, though there is adequate clearance to the neighbouring villas. 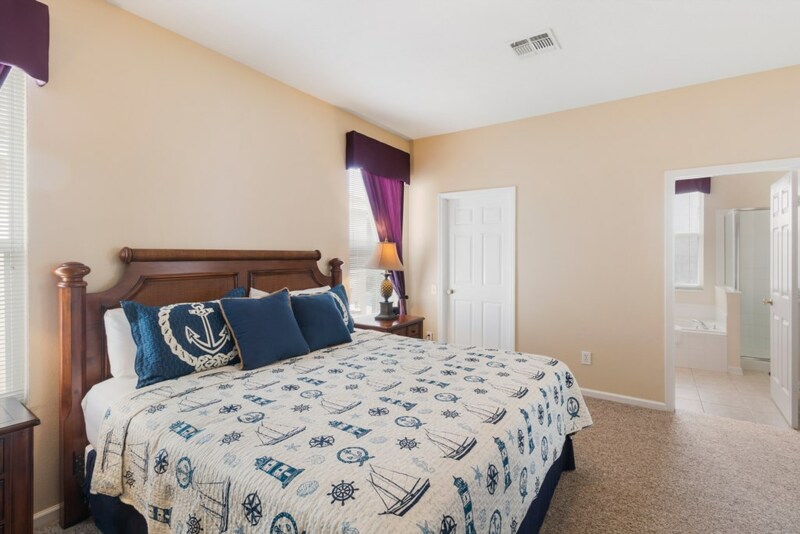 The Clubhouse is a casual five minute walk away and offers a full-sized swimming pool, a small gym, games room, cinema, and more. 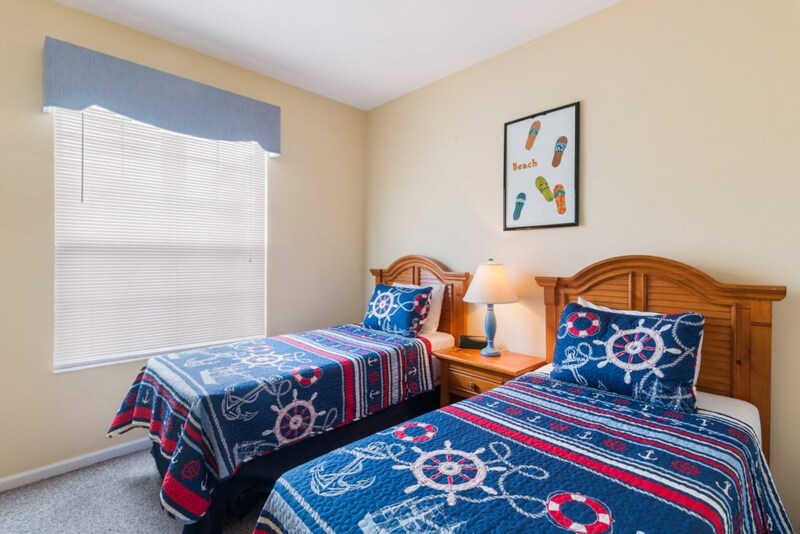 Windsor Plams is very well placed, granting quick access by car to all of the popular theme parks. 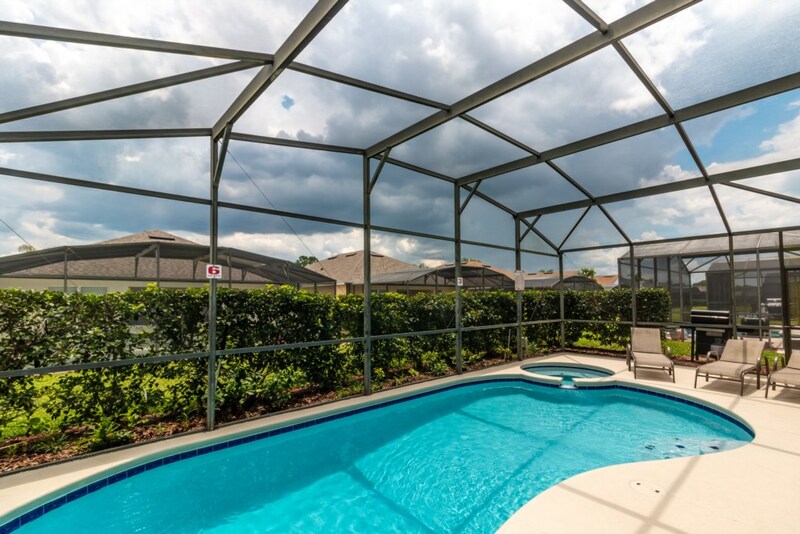 This is our fourth consecutive visit to Florida but it is the first time we have ventured to a different gated community. We loved Windsor Palms; it was well-kept and we felt safe. This villa felt very much like home to us, and we were all very sad to leave. We would recommend it to other families and would definitely visit again. Very nice home. 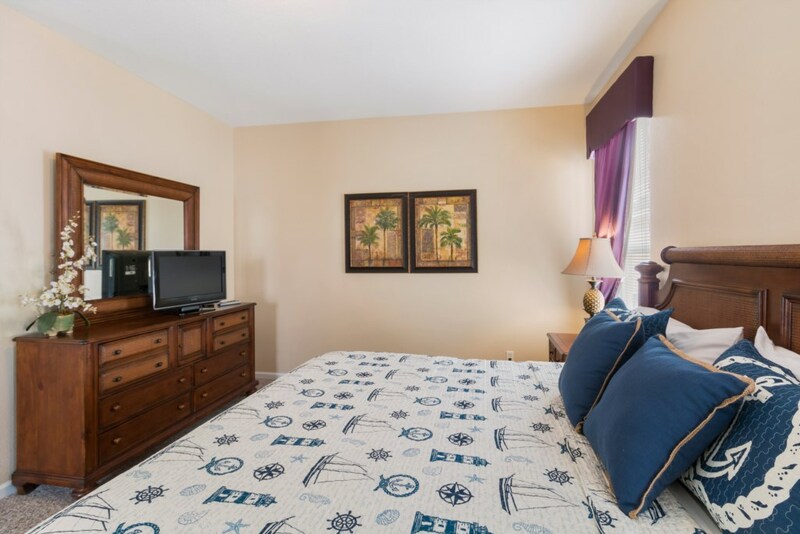 Comfortable furniture, appropriate appliances, excellent games and amenities, clean fresh linen. Was perfect for our family vacation. Would stay here again.